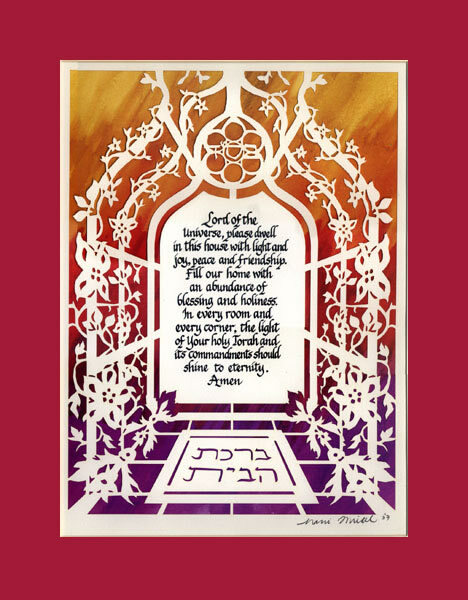 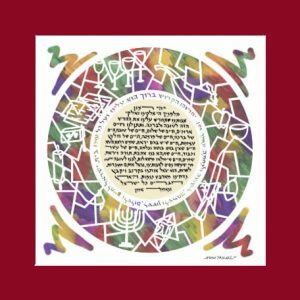 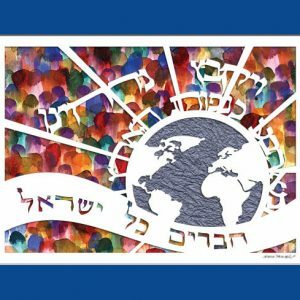 This boldly colored and intricate papercut displays the blessing for the home which is traditionally featured on the wall of Jewish homes. 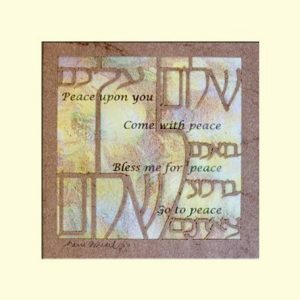 The prayer asks that G-d’s presence should dwell among the family. 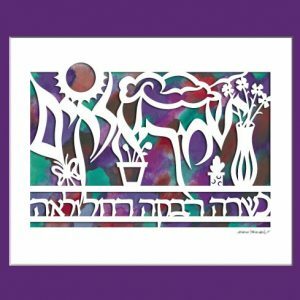 It makes a perfect housewarming or judaica wedding gift.